Nathan Benderson Park and the Sarasota - Bradenton area are excited to host the 2018 Sarasota CAMTRI Sprint Triathlon and Mixed Relay American Championships. Nathan Benderson Park offers an opportunity to showcase a world class venue to the triathlon community. The entire course is set in the park which is conveniently located just off of Interstate I-75 in Sarasota, Florida. 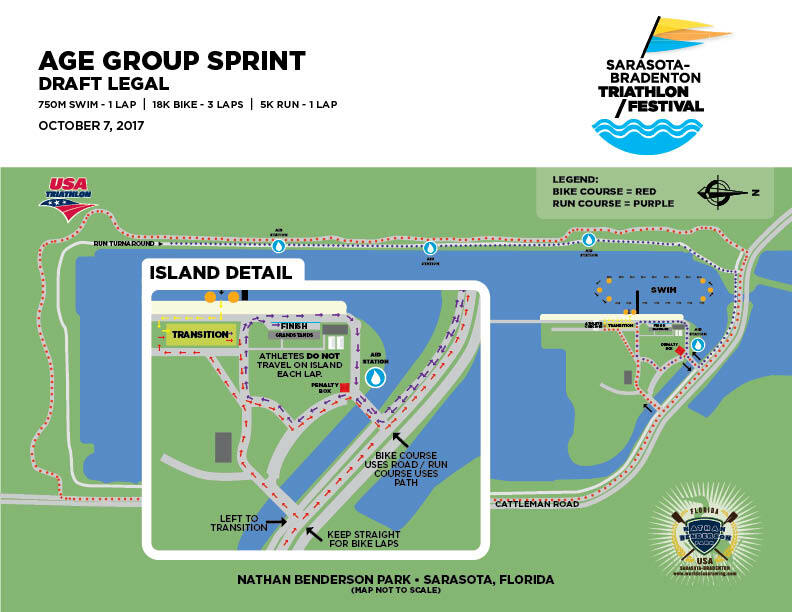 General parking for athletes, spectators, and volunteers will be on the Regatta Island directly adjacent to the main action (athlete tent, registration, transition area, swim start, and the finish line). Parking is $10/vehicle on race day. Please contact Bill Burnett at 617-515-5929 for any media related questions.